A research center in the U.S. conducted a poll showed that 48% of Israelis support the idea of expelling Palestinians residing in the 1948 Occupied Palestine. While, 46% of Israelis objected to the idea. The study was conducted between 2014 and 2015 (before Jerusalem Intifada). 3,789 Adult Israelis were interviewed in the study which demonstrated that 58% of secularists voted against displacing Palestinians and 36% of them seconded the idea. It also showed that 72% of the right-wing Israelis supported expelling Palestinians out of the green line (Palestinians' occupied lands in 1948). Another poll issued by an American research institute showed that 43 per cent of Jews do not believe in the two-state solution. 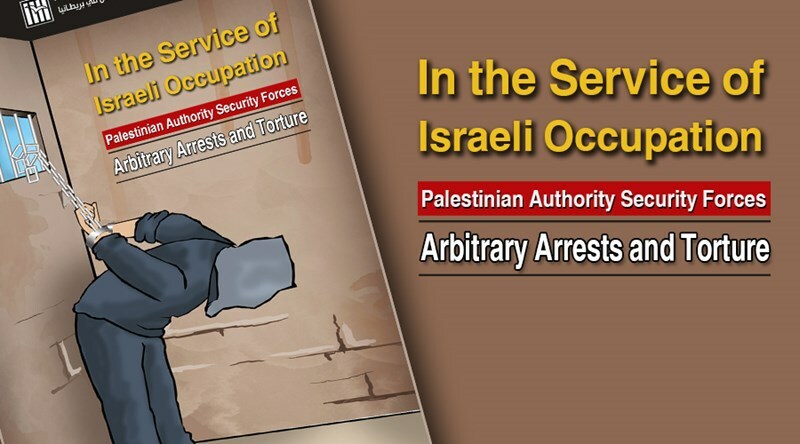 The Arab Organization for Human Rights in the UK (AOHR UK) conducted field research in the Occupied Palestinian Territories between January and December 2015 so as to document human rights violations committed by the Palestinian Authority's security apparatuses. The research revealed that more than 1392 Palestinians were arrested for political reasons in various parts of the West Bank, 22 of whom were charged with carrying out anti-Israeli activities. Another 323 were summoned for questioning before being released on the same day, Some of those arrested were summoned several times throughout the year. A recorded 273 were summoned and detained in June alone. Detainees included 25 women, 27 children, 68 journalists, 41 teachers and 422 university and school students. The largest number of detainees, approximately 969, comprised Palestinians who had been previously freed from Israeli jails. AOHR UK also documented 37 instances of individuals being subjected to torture whilst under arrest, including physical assaults with batons and ropes, being hung from windows and doors, being held in stress positions for hours, and near-death strangulations. A number of detainees were held in solitary confinement for several months, prompting a number of them to go on open-ended hunger strikes to protest again the inhumane treatment and torture, and demand their immediate release. The PA Security forces also seized personal belongings and property belonging to 76 Palestinians during the course of the arrests including ID cards, mobile phones, computers, cars, sums of money and various documents. On fourteen occasions, the PA security forces used live bullets to intimidate Palestinians, injuring a 12-year-old child on one occasion. At least 43 Palestinians were brutally beaten, and one was hit by a car during the course of his arrest. Security forces also held four Palestinians in custody so as to force members of their family who were sought by the security services, to hand themselves in. A man and a woman were also banned from travelling outside the West Bank. The PA security forces often refused to comply with court orders for the release of detainees. At least 26 Palestinians remained in custody even after the court ordered their release. Another 11 Palestinians were held under “administrative detention” by the governor of their respective towns. Only court decisions extending detainees’ remand in custody are usually routinely implemented, as was the case with verdicts sentencing four Palestinians to prison for periods ranging between 3 to 10 years. One of those Palestinians was sentenced in absentia since he is currently detained in Israel where it is expected he will be sentenced to life imprisonment. Security forces cracked down on many peaceful protests held to oppose human rights violations by Palestinian security forces and Israeli occupation troops. At least 33 peaceful protests were disrupted and stopped in the West Bank, with officers, some dressed in plain clothes, assaulting protesters and seizing personal belongings, banners and brochures. Media outlets were often banned from covering these protests. The Palestinian Center for Human Rights (PCHR), on Sunday, expressed its solidarity with and support of Al-Haq human rights organization, in confrontation of the campaign which aims to defame Al-Haq organization, and its staff members, by unknown sources. PCHR stressed that this campaign is targeting the whole Palestinian human rights’ movement that is going through a legal struggle, on the international level, in order to expose the Israeli occupation's crimes against the Palestinian people, and prosecute the Israeli war criminals and bring them to justice. In the past days, according to the PNN, Al-Haq received phone calls from unknown sources, threatening the life of some of its staff members particularly, Al-Haq’s representative in Europe, and General Director Shawan Jabarin, because Al-Haq is working on the International Criminal Court’s (ICC) file. Those death threats came in the context of a systematic campaign launched against Al-Haq several months ago, via anonymous emails, phone calls and Facebook posts, in an attempt to raise questions regarding the administration of Al-Haq’s finances and undermine Al-Haq’s funding base. Some of those who called claimed that they worked within the Palestinian Authority (PA); a fact refuted by an official statement by the PA itself. Al-Haq is considered the home base for the Palestinian human rights organizations. It should be noted that Al-Haq was founded in 1979 and is one of the strategic partners of PCHR in defending human rights, confronting the environment of impunity and prosecuting the Israeli war criminals on the international level. Since the beginning of January 2016, a total of 23 Palestinian journalists on duty were targeted by Israeli armed forces and police, with 12 of the attacks occurring during the month of February alone. 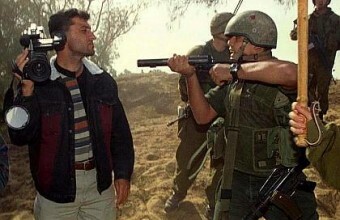 WAFA Palestinian News & Info Agency prepared a monthly report in which violations against journalists were documented, and indicated that the Israeli army continues to target Palestinian journalists, putting their lives at risk and hindering their work. The report explained that journalists were being targeted with live metal rounds, teargas canisters, physical assault and arrests. Their ability to work freely and freedom of speech were also compromised. In January alone, 11 journalists were targeted, while another 12 registered being attacked by Israeli forces during the month of February. Eight journalists sustained injuries due to being hit with rubber-coated steel bullets, while four others were either arrested, detained, had their press passes confiscated, or shot at without being hit. On February 3, the Israeli police interrogated host of the show “Good morning Jerusalem” journalist Nader Bebars for around four hours under the pretext the content of his show is inciting against Israelis. Israeli police demanded him not to tackle politics in his show. The same day, Israeli police physically assaulted Palestine Today correspondent Ahmad Jaradat. in the city of Jerusalem, and prevented him from covering a Jerusalem attack and its aftermath, despite presenting his press pass. On February 4, Israeli soldiers physically assaulted photojournalist Ishaq Kasbe, also as he was covering the aftermath of an attack in Jerusalem. After soldiers took Palestine Today journalist Mujahed Saadi from his Jenin home, the Israeli court ruled to hold Saadi in detention at Jalama prison. Meanwhile, Israeli Supreme Court ruled to suspend the administrative detention of Palestinian hunger striking detainee Mohammad al-Qeeq, who has been detained since November 2015, and went on a hunger strike for 94 days. On February 5, Israeli forces targeted the Turkish Anadolu News Agency reporter, Hisham Abu Shakra, with a live round in his leg, while he covered clashes that erupted between unarmed Palestinians and Israeli forces at the northern entrance of the city of Bethlehem. On February 12, Israeli soldiers attacked WAFA photojournalist Ayman Nubani and 24fm photojournalist Muhammad Turabi, during a non-violent protest in Kafr Qaddoum, near Qalqilia. European Pressphoto Agency photojournalist Alaa Badarneh sustained a broken hand while covering clashes in the same village, in of February 20. On February 26, video journalist for Jordanian Roya TV, Mohammad Shoshe, was hit with a sound bomb which burned and bruised his legs, while covering a protest near al-Ibrahimi Mosque, in the city of Hebron. The same day, Kuwaiti journalist Nayed Shaher suffocated from inhaling teargas during the Bilin weekly protest against settlements and the apartheid wall. On February 27, photojournalist Mohammad Jaradat was assaulted while covering a protest to mark the 22nd anniversary of the Ibrahimi Mosque massacre in Hebron. Palestinian NGO Al-Haq says staff has received "death threats"
Palestinian human rights organization Al-Haq has been the target of a smear campaign in the past six months culminating in death threats, the group said in a statement released this week. 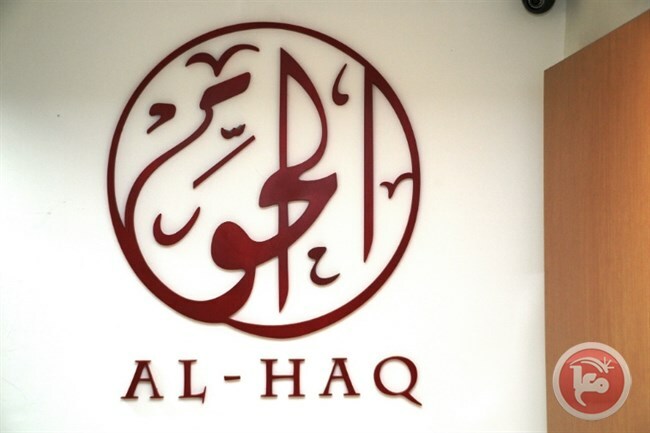 Al-Haq is an independent rights organization based in Ramallah which has documented violations of individual and collective human rights in the occupied Palestinian territories since 1979. Although the organization said it “has faced various forms of attack and smear campaigns by the Israeli authorities” since its inception, it reported in a statement on Wednesday that it has faced a growing number of anonymous threats and attempts to tarnish its reputation since September. A number of anonymous messages were sent to Al-Haq donors and staff casting accusations of corruption and fraud. The accusations were discredited in November, after Al-Haq requested audits of its own accounting to dispel suspicions of wrongdoing. The NGO said it had notified the “appropriate authorities” and that an investigation had been opened, adding that it was “convinced” that Israeli authorities were behind the smear campaign. Israeli authorities have imposed a travel ban on Jabarin, Al-Haq’s director, since 2006, lifting it temporarily on two occasions, citing undisclosed evidence that Jabarin represented a security threat. Israeli violations of international law and international humanitarian law in the occupied Palestinian territories continued during the reporting period (25 February – 02 March 2016). Israeli forces have continued to commit crimes, inflicting civilian casualties. They have also continued to use excessive force against Palestinian civilians participating in peaceful protests in the West Bank and Gaza Strip, the majority of whom were youngsters. During the reporting period, Israeli forces killed 4 Palestinian civilians, including 3 children, in the West Bank. One of them was killed in Qalandya refugee camp, north of occupied Jerusalem, another was killed at “Beit Eil” military checkpoint, north of Ramallah, while the 2 others were killed in “Eli” settlement, south of Nablus. Moreover, they wounded 20 civilians, including 3 children. Thirteen of them, including a child, were in the West Bank, and the 7 others, including 2 children, were in the Gaza Strip. Concerning the nature of injuries, 11 civilians were hit with live bullets, 6 were hit with rubber-coated metal bullets and 3 others were hit with sound bombs. In the West Bank, Israeli forces killed 4 Palestinian civilians, including 3 children, and wounded 13 others, including a child. Seven of them were hit with live bullets and 6 others were hit with a rubber-coated metal bullet. During the reporting period, Israeli forces conducted at least 67 military incursions into Palestinian communities in the West Bank and 6 ones in occupied East Jerusalem and its suburbs. During these incursions, Israeli forces arrested at least 77 Palestinian civilians, including 13 children. Ten of them, including 9 children. In the Gaza Strip, on 27 February 2016, Israeli forces arrested 3 Palestinian civilians, who attempted to sneak into Israel through the border fence between the Gaza Strip and Israel, east of Rafah City, to look for work. They were taken to an unknown destination. The illegal closure of the Gaza Strip, which has been steadily tightened since June 2007 has had a disastrous impact on the humanitarian and economic situation in the Gaza Strip. The Israeli authorities impose measures to undermine the freedom of trade, including the basic needs for the Gaza Strip population and the agricultural and industrial products to be exported. For 9 consecutive years, Israel has tightened the land and naval closure to isolate the Gaza Strip from the West Bank, including occupied Jerusalem, and other countries around the world. This resulted in grave violations of the economic, social and cultural rights and a deterioration of living conditions for 1.8 million people. The Israeli authorities have established Karm Abu Salem (Kerem Shaloum) as the sole crossing for imports and exports in order to exercise its control over the Gaza Strip’s economy. They also aim at imposing a complete ban on the Gaza Strip’s exports. The Israeli closure raised the rate of poverty to 38.8%, 21.1% of which suffer from extreme poverty. Moreover, the rate of unemployment increased up to 44%, which reflects the unprecedented economic deterioration in the Gaza Strip. On 26 February 2016, “Ateret Cohanim” organization delivered the heirs of Abdul Majeed al-Rajabi judicial notices to vacate their land in Batn al-Hawa neighbourhood, in Silwan village, south of East Jerusalem, on which 12 apartments are built. The organization claimed that the land belongs to 3 Jews from Yemen, who used to live in that land before 1948. It should be noted that the 12 apartments shelter 93 persons, including 64 children. On 27 February 2016, officers from the Israeli municipality and police moved into Ein al-Louza neighbourhood, south of East Jerusalem. They photographed the streets and some buildings and then fixed a number of administrative demolition notices to some residential buildings. On 25 February 2016, Israeli bulldozers demolished industrial and commercial facilities and confiscated a mobile house in al-Muhalel in Na’lin village, west of Ramallah. The demolition was carried out against 10 stores. On 29 February 2016, Israeli bulldozers demolished 4 residential tents, 2 livestock tents and 2 livestock barns in al-Farisiya area, north of Jordan Valley, east of Tubas. It should be noted that these facilities were donated by the Palestine Red Crescent society (PRCS) after a demolition that was carried out in the same area on 11 February 2016. On 02 March 2016, Israeli forces demolished Kherbet Tana, east of Beit Foreek village, east of Nablus. They demolished the only school in the Kherbeh, 2 caves, 2 barracks, 10 residential tents and 6 livestock tents. The demolished tents and other facilities belong to 12 families consisting of 68 individuals, including 29 children. 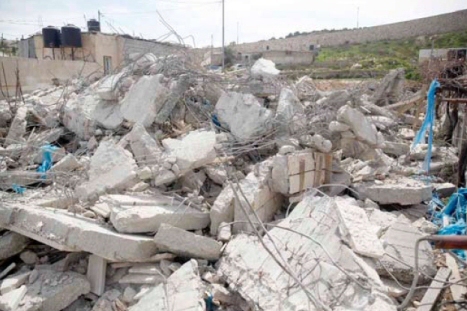 On the same day, Israeli forces demolished an underconstruction house in al-Shweika suburb, north of Tulkarm, belonging to Khalil Ahmed Mohammed Ali (44). It is worth noting that the house was 2 kilometres away from the electronic fence, which is part of the annexation wall. 13. 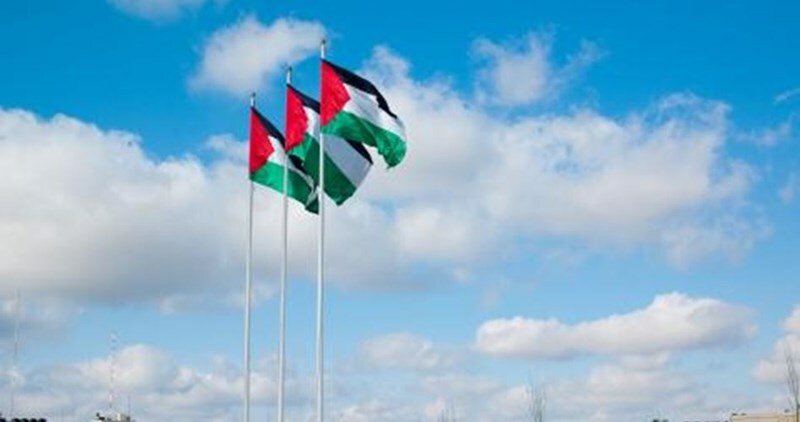 PCHR calls upon the European Union to activate Article 2 of the EU-Israel Association Agreement, which provides that both sides must respect human rights as a precondition for economic cooperation between the EU states and Israel, and the EU must not ignore Israeli violations and crimes against Palestinian civilians.